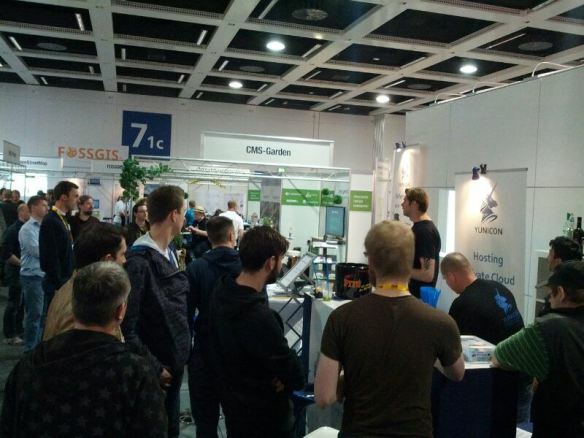 LinuxTag 2013, the biggest Linux and Open Source Conference in Europe, takes place from May 22 – 25, 2013 in Berlin. Join workshops & tech talks and don’t forget to check out the big exhibition hall, where you can meet some of the vendors. It’s a place where .com meets .org. VersionEye’s founder and CEO, Robert Reiz, will be there for two more days on Friday and Saturday. You can find him at the Yunicon stand in the exhibition hall. 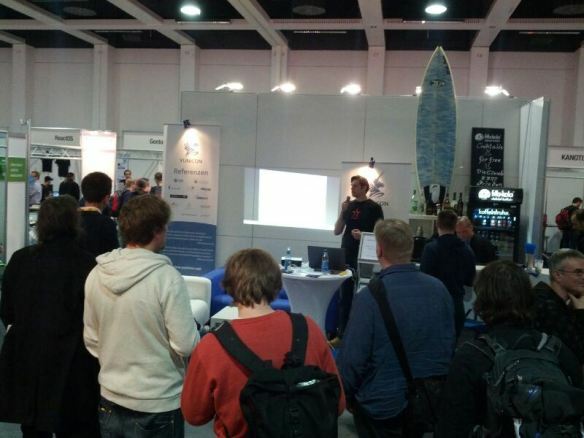 Btw Yunicon is an awesome private cloud provider from Berlin and they have by far the coolest exhibition booth. Why? Because they have FREE drinks! Do we need to say more? 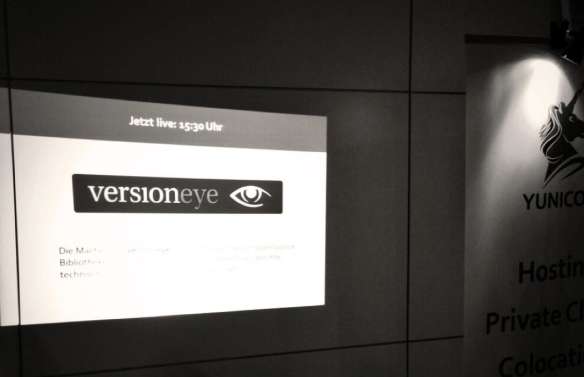 Robert is doing a daily tech talk about “Continuous Updating” with VersionEye at 3:30 pm. Join the talk if you’re curious to learn something about “Continuous Updating”, VersionEye, or even if you just want to grab a free drink. Robert will be more than happy to answer your questions.